I don’t swear very often. It’s not ladylike, I find it unprofessional, and most of the time I think it’s completely unnecessary. When I do swear, it’s under very specific circumstances, in which I’m typically trying to make a particular point. But no matter what, I sure as heck don’t swear at church. My inner Baptist knows that swearing in church ranks up there with those horrible sins like wearing tank tops, listening to “Christian rock,” and reading something other than the King James Version. It’s simply not something a good Christian girl does. But this morning at church, while they never came out of my mouth, a few choice 4-letter words crossed my mind. We all go to church for different reasons. Some go for the fellowship, some for the worship, and some for the Starbucks in the lobby. But most of us go in search of answers to life’s challenges. As on any other typical Sunday morning, I entered the house of God hoping to receive a word I could carry with me through the week. Something hopeful. Something uplifting. Something warm and fuzzy. What I got was anything but. 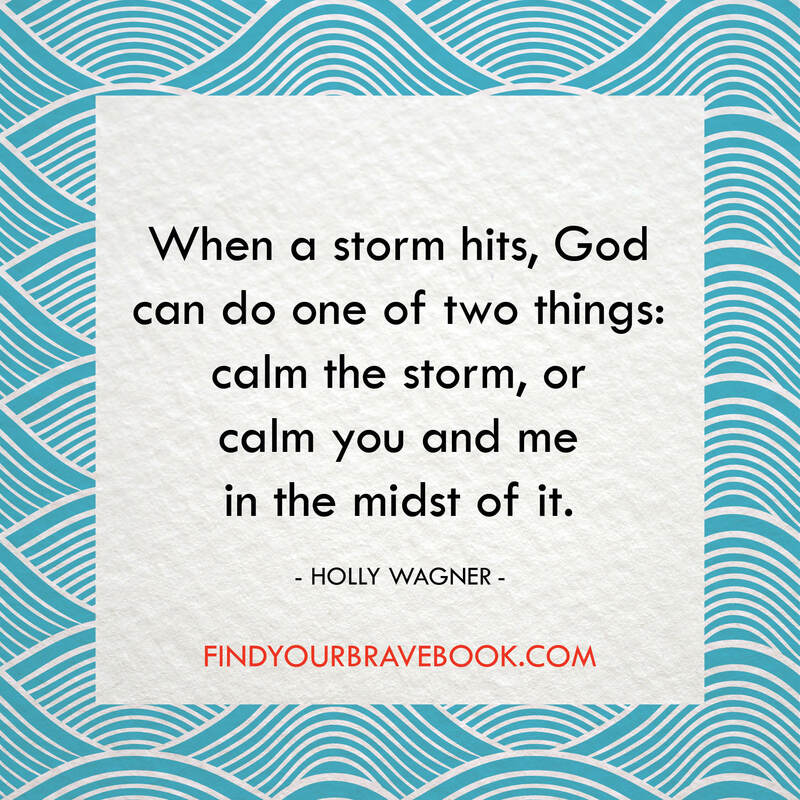 The book uses the story of the Apostle Paul’s shipwreck to teach us that when storms arise, we can trust God to see us through to the other side. Yes, we have to hold on tight in the meantime, and put in significant effort while en route to the shore, but God will get us there eventually. Keep the faith – every storm runs out of rain at some point. So there I was in church this morning, with a particular storm in mind, waiting for that word of hope. Waiting to hear that the storm would pass soon, because I’ve been trying to escape this storm for several years now – surely it’s almost over, right? But that’s not the word God had for me. The word was one I desperately didn’t want to hear. Literally just one word. The word was STAY. Well @#$%, I thought. I don’t want to stay. I want to leave. Escape. Move on to bigger and better things. Not hunker down and lean in. Not cool, Pastor Charlie. Not cool at all. And just in case I missed the memo, after church I read the next chapter of the book for Bible study. It was titled “Don’t Quit!” Are you freaking kidding me?